He told the governor that we should be working on low-polluting or even non-polluting aircraft fuel. Gov. 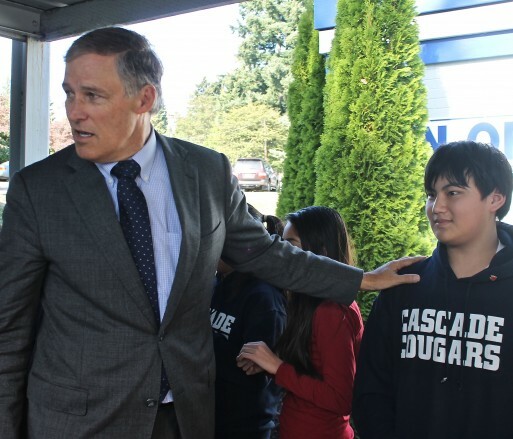 Inslee said there’s some work under way at Washington State University, but was so impressed by Ming’s suggestion, he gave him a pin (an apple he says he hands out daily to someone with a good idea). As for the new standards, read Superintendent Dorn’s announcement here; read about the standards themselves here. 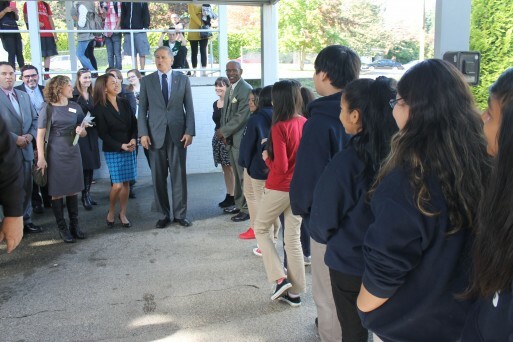 Governor Inslee Visits Highline from Highline Public Schools on Vimeo.